When I set up my present company I named it TV Everywhere since this encapsulated my work and philosophy over two decades. Rather bizarrely, the term was, some year later, taken up by various American media execs as a way of expressing their desire to provide services over multiple platforms. But the US version of TV Everywhere is a shadow. It's a very basic concept with a walled garden at its heart. It is nothing more than the philosophy that I conceived bastardised into a poor commercial strategy. The TV industry has lost, perhaps, $5bn to Google already. The lesson is that TV Everywhere is not a simplistic technical strategy, it is a state of mind. TV Everywhere (the company) is investing in companies that are defining the future of television. Companies such as Rights Tracker that provides the platform to manage rights, the most often forgotten, but perhaps most important component of any video delivery system. 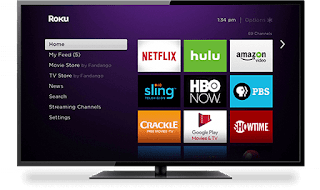 And companies like Vidiactive, who have totally changed the way television works and can be consumed by integrating it into the social cloud. Platforms are easy, we have a great one in VidZapper, which is rapidly evolving to challenge the incumbents, which themselves were copycats of Narrowstep's Television Operating System (telvOS), created by the TV Everywhere team (and homage to Ian and the guys at theplatform who were also there back then..). But the models are old and stale. We're gearing up to a whole new world where the parochial models and technology that are mainstream today will appear irrelevant. There are big gambles being made, and huge losses to be faced. TV Everywhere as a state of mind is new. It will not be defined by old media execs, but by the next generation of media consumers, who are already mangling the old media world (heard from a young employee: "I watched television last night!"). TV Everywhere is a company, but it is also a philosophy that is wider and deeper than the hijacked name which we carry.